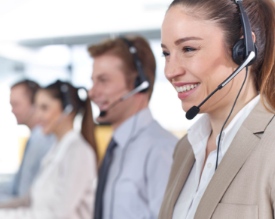 Starting a Call Center/ Contact Center | The Taylor Reach Group Inc.
Is organic growth, a new product, service or acquisition resulting in calls swamping the switchboard, customers tracking down the administrative offices to trace an order, email volumes surging and going unanswered? Whatever the cause most organizations will one day determine that they need a Call Center or Contact Center. By being able to direct and centrally manage all call, emails, chats and other channels of communications, organizations can realize both financial savings as well as improvements in service quality and customer satisfaction. The Taylor Reach Group, Inc., Can Help.